For school children at the Leonardo Da Vinci primary school in Anderlecht, cold, windowless and damp classrooms are the norm. The school, which was only created four years ago, has four classrooms in what was meant to be a temporary building - but since opening, no progress has been made on a permanent solution. The tin roof has holes, leaving the classrooms open to rain and other weather. Although the cockroach problem has been solved, the building still has mice. 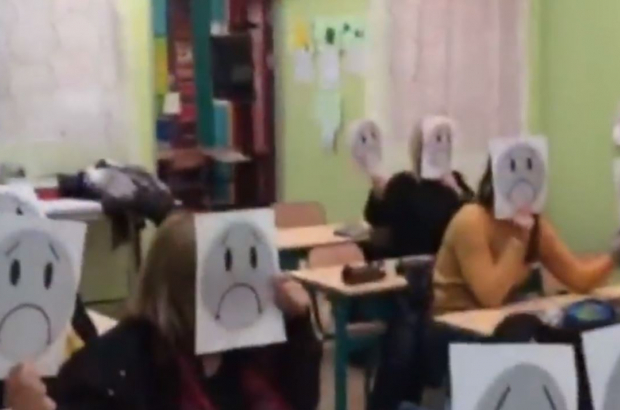 According to Véronique Marlier, one of the teachers in this location, many of her colleagues have been suffering with bronchitis for several months. Although the Wallonia-Brussels Federation acknowledges the severity of the situation, it responded by saying there was no choice but to open the additional classes before there was an available functional building. According to Mathurin Smoos, general manufacture for infrastructure at the Wallonia-Brussels Federation, schools in general are struggling to meet the population growth in Brussels. The long-term solution is to renovate an old high school next to the Leonardo Da Vinci School, but after delays and the bankruptcy of the company responsible for constructing it, the school still has not been renovated. The Wallonia-Brussels Federation hopes to begin construction on the €2m project in February and finish September 2020, although many teachers worry that the construction will take longer than anticipated. While the school waits for the renovations to be completed, the plan is to move into vacant classrooms in the secondary school. This decision came after a work stoppage by teachers at the beginning of January. Headteacher Yannick Rolland said these classrooms should be functional after adapting them for primary school. He hopes to have them ready by mid-June. For many teachers and students attending the cold, mice-infested school, the wait until June will feel like a very long time. Fabrice Pinna, from CSC-Enseignement trade union, said: "The situation is catastrophic. We have got to stop putting teachers' and pupils' health in danger."